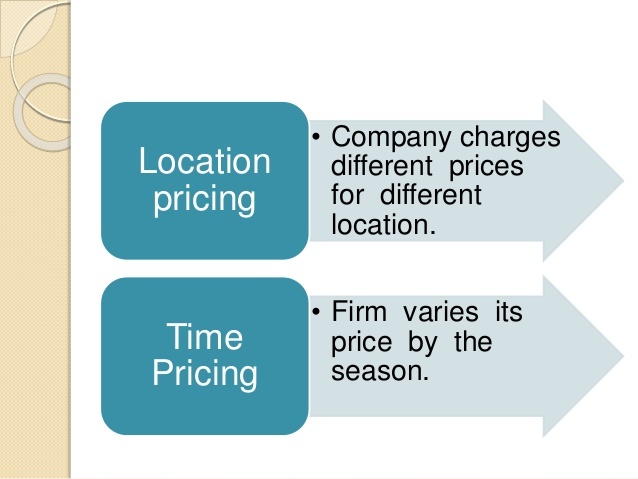 Manufacturers, wholesalers, retailers, and service businesses have different types of pricing conventions based on the nature of the firm and the industry and customers it serves. Some pricing strategies are broadly used in one field and avoided in another. It is critical to understand the pricing conventions in your type of business and to decide proactively how you will apply them. Markup pricing is commonly thought of as a form of cost-plus pricing. It is used from manufacturing through retail. Whereas it is laden with drawbacks, markups are relatively easy to understand and calculate and are quite common. Depending on whether you manufacture, distribute, or retail your products, or operate in a combination of these functions, you will have to keep the end price and industry markups in mind. If you are a manufacturer, you can work backwards from the target retail price to determine what your cost has to be in order to include the customary markups along the chain. There can be other links in this chain in addition to these four. A manufacturer may have to buy raw materials or manufactured parts to make the product. There may be other middlemen, such as agents, brokers, or other wholesalers between manufacturer and wholesaler or between wholesaler and retailer. Manufacturers often have difficulty in determining the best price to charge for their products. If they are producing parts or assemblies for use in further manufacturing processes, they face different pricing challenges from those manufacturers who sell to wholesalers or directly to retailers or consumers. In any case, it is common for manufacturers to set list prices for standard products and then offer discounts through volume, credit terms, or other incentives. For job shop or custom products, pricing is arrived at through a quotation process. Producers that want to supply the military and other government entities also have to provide quotations, through competitive bidding processes. In each case, the challenge is to charge according to the firm’s established strategy and to secure sufficiently profitable and sustainable revenues. As the connector between manufacturers and retailers, wholesalers must price very carefully, so that they add value to the distribution process and are not skipped over in the chain. Often, wholesalers operate on smaller margins, serving as the “combiner,” to make it possible for retailers to purchase from multiple manufacturers simultaneously, while buying fewer products than they would have to buy from each manufacturer. Plumbing supply wholesalers, for example, carry broad and deep inventories so that their plumbing-contractor customers can purchase in small quantities as they need materials or can order in larger quantities for projects. Just as manufacturers and wholesalers must carefully balance pricing strategy with competitive environment and customer needs, retailers must also price right to survive and thrive. Because many entrepreneurs sell a variety of items at different retail prices with different wholesale costs, it would be time-consuming to try to figure an acceptable markup for each item. Instead, retailers use percentage markup, based on the competitive environment. Every item in a gift shop, for instance, could be marked up 50 percent. Let’s say a gift shop buys cards for $2 each from the wholesaler and sells them for $3 each. While preparing her monthly income statement, if the gift shop owner finds that she is not generating enough profit, she can raise her markup percentage slightly to try to increase revenue. Or she can try to find a cheaper wholesale supplier to lower costs. All pricing should ultimately be customer focused. Service businesses can use the strategies that manufacturers, wholesalers, and retailers use to create prices, with the exception being that labor will be the primary product cost. Services can be priced at a premium or discount and can have tailored prices for certain customers. The cost factors that service businesses should consider, above and beyond the obvious competitive environment, are the labor employed, the materials used to deliver the service, overhead costs, and desired profit levels. Unlike retailers, who can readily use key stoned prices based on the cost of merchandise, service businesses need to have reliable and accurate costing information even to set approximate prices (although competitive pricing may be a good starting point, too). Often, charges will be based on an hourly labor rate, because labor is the primary cost component. For example, a management-consulting fee may charge a rate equal to three to five times the full-wage costs of the consultants. An example of a common service can be found in a computer-installation and repair service, Computer Associates. The company estimates its cost-per hour by examining its total fixed and variable expenses, minus material divided by the hours worked. Total Cost per Hour = Fixed Costs + Variable Costs – Materials\Hours = $292,700>8,920 = $32.81>hr. Price per Hour = 38.21 × [1/(1 − 0.60)] = $38.21 × 2.5 = $95.53/hr. Entrepreneurs in service businesses have to be wary of pricing improperly. Particularly for those who transition away from being paid an hourly wage as a service technician, there is a fear of overcharging and not getting the job. This may well be a case where customers truly believe “you get what you pay for,” and will pay the higher price in exchange for the perceived better-quality option. Learn more about pricing techniques and things related to marketing only at LSBF.